I might have hinted that there would be a 4th of July card today and indeed, it is ready....but I just loved the color combo from yesterday so much that I decided to use it again. And because I am over the moon about this card....I just had to show you. I am totally loving the Summer Card Class I am taking and I'll be posting this card on the class gallery today too. Are you wondering how I cut those sweet little animals so perfectly? Are you guessing that they are dies? If so, you are correct! They come from PaperTrey Ink's most recent release. Of course, the stamps coordinate and are also part of the most recent release. 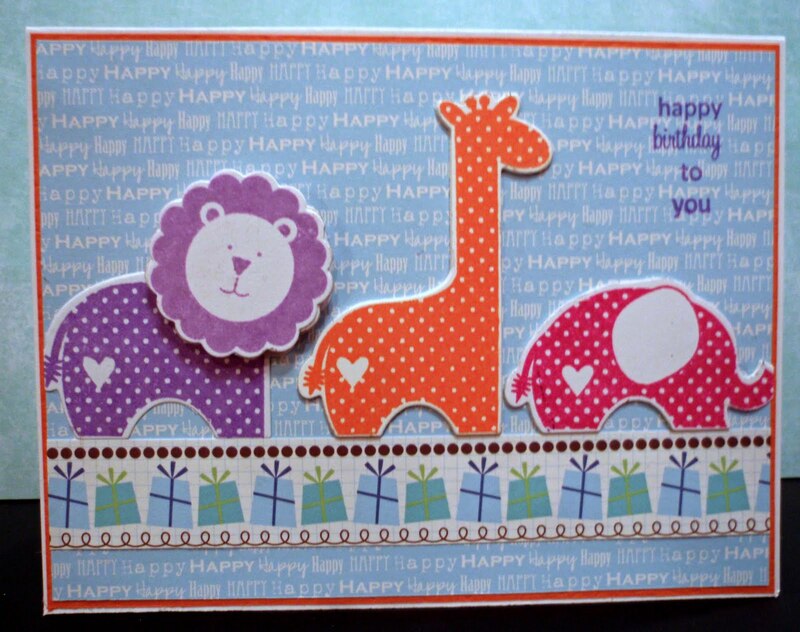 I am picturing herds of colorful animals on scrapbook pages and cards alike. I can't wait to cut some more of them. Oh- you can cut felt and foam with them too. I know cause I've already done some! 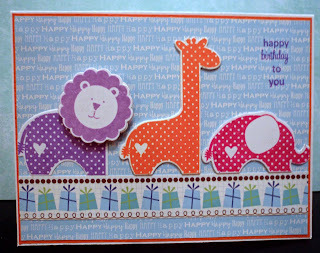 Now rush on over to PaperTrey Ink and look at their stamps and dies so you too can have some cute animals in your stash! So tomorrow, I promise....the 4th of July card! hello fellow camper. This card totally made me smile.